Nuu-chah-nulth families stay close to home and culture for MMIWG gathering. “We want to strengthen and support families and communities, and we see the incredible value in communities organizing gatherings like this one,” said Marion Buller, chief commissioner for the National Inquiry into Missing and Murdered Indigenous Women and Girls. The Nuu-chah-nulth Tribal Council’s (NTC) Teechuktl Mental Health department is hosting Canada’s first healing gathering for Murdered and Missing Indigenous Women and Girls (MMIWG) on Tseshaht First Nation’s territory this week. The three-day event began Sept. 12 and will conclude tomorrow Sept. 14. The gathering is an opportunity for Nuu-chah-nulth families and loved ones to “share space and receive support, both emotionally and culturally, as part of their healing journey,” said Debra Foxcroft, president of the Nuu-chah-nulth Tribal Council. The decision to host a healing gathering came after Nuu-chah-nulth families attended a special provincial ceremony in Prince George, B.C. in early 2016. There wasn't enough time available, however, to share all their stories. The gathering allows Nuu-chah-nulth families to share while remaining close to home, read a statement from the tribal council. 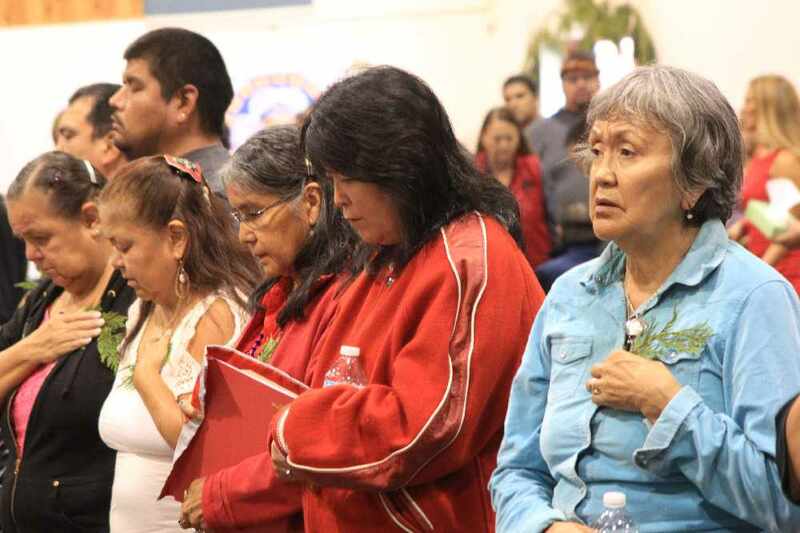 To avoid further trauma or disrespect to the families from having to relive their experiences, representatives from the National Inquiry into Missing and Murdered Indigenous Women and Girls were in attendance to privately collect statements from families.